This mod updates the armor of Tanks, Hovertanks, Cyberdiscs and Sectopods. Mostly, it increases the front armor, and decreases the rear armor. Finding a good firing position is now very important in many scenarios. 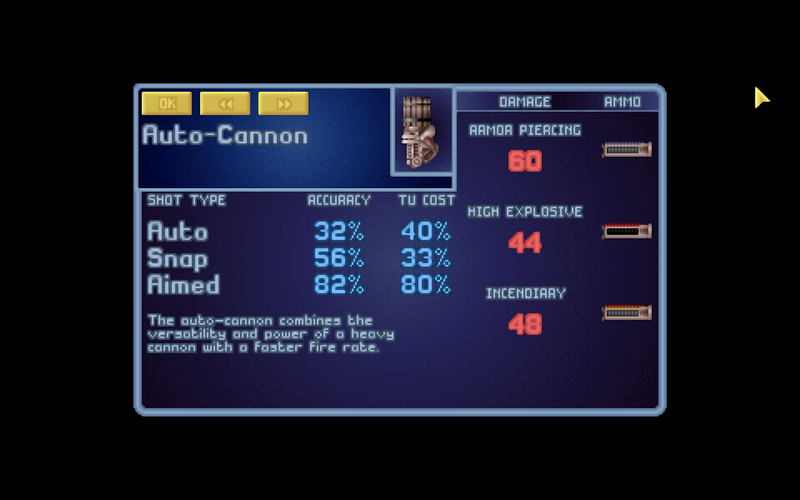 It also increases the damage of the A.C. and H.C. armor piercing shots (decreasing the magazine capacity), and of the tanks weapons. 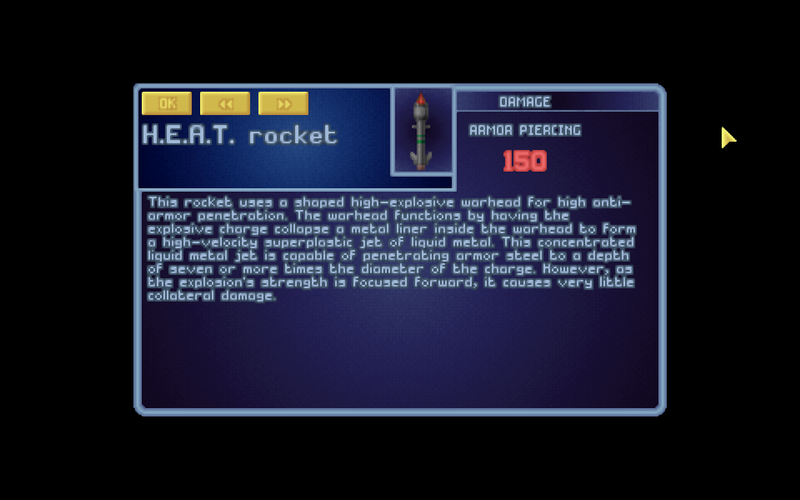 A new type of rocket, H.E.A.T. 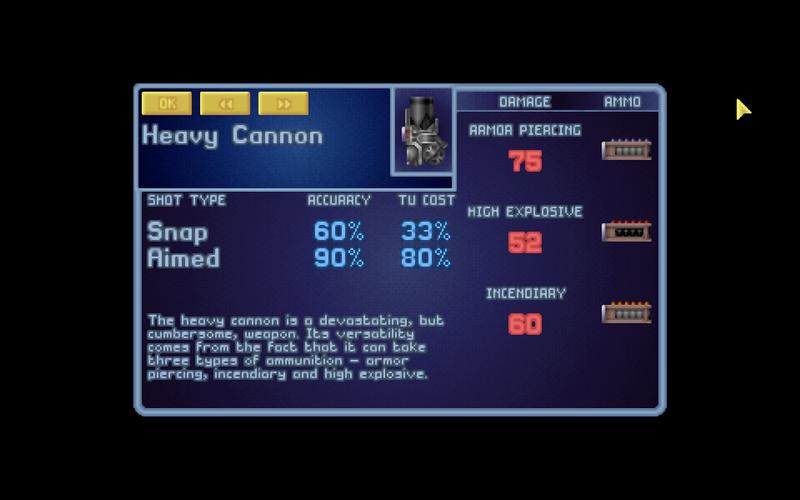 is included, which provides a capable anti-armor weapon from the start. The Cyberdisc and Sectopod are extremelly resistant to stun damage. The Sectopod and Hovertank frontal armor is also increased, but the rear armor is weaker. 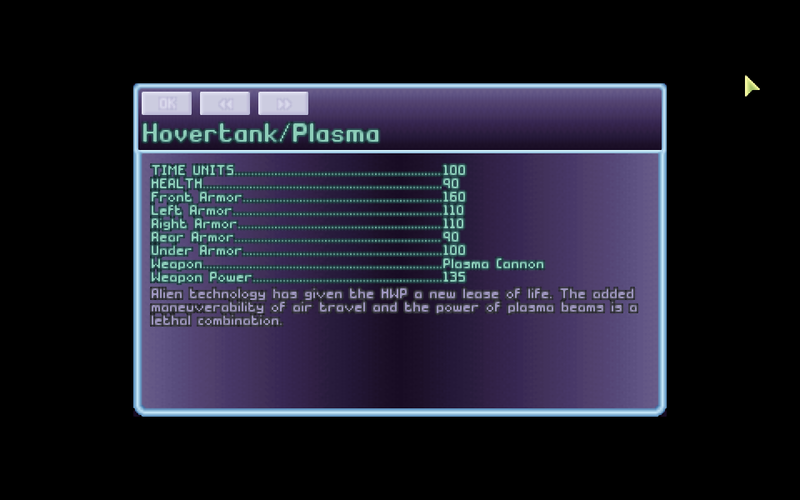 The Tank frontal armor can take Plasma pistol shoots, and most Plasma rifle shoots. 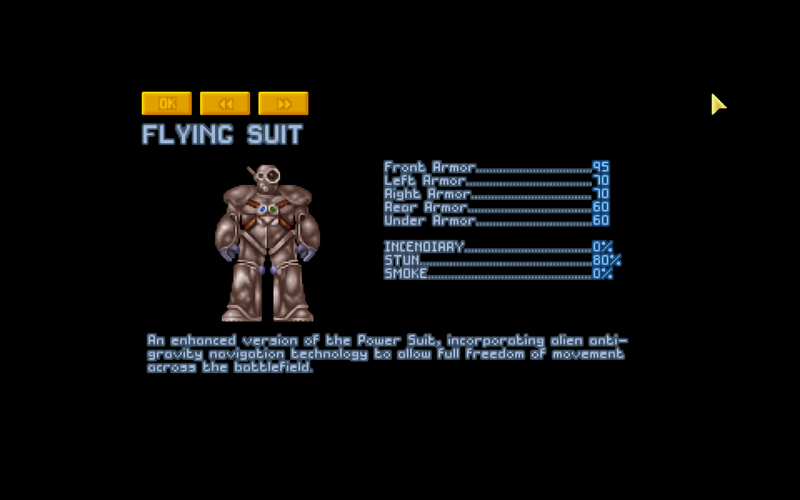 Finally, the armor ratings of the Flying suit have been slightly decreased. After all, it is supposed to be the Power Suit with flying capabilities. It makes more sense that it had to be lightened instead of having additional armor. 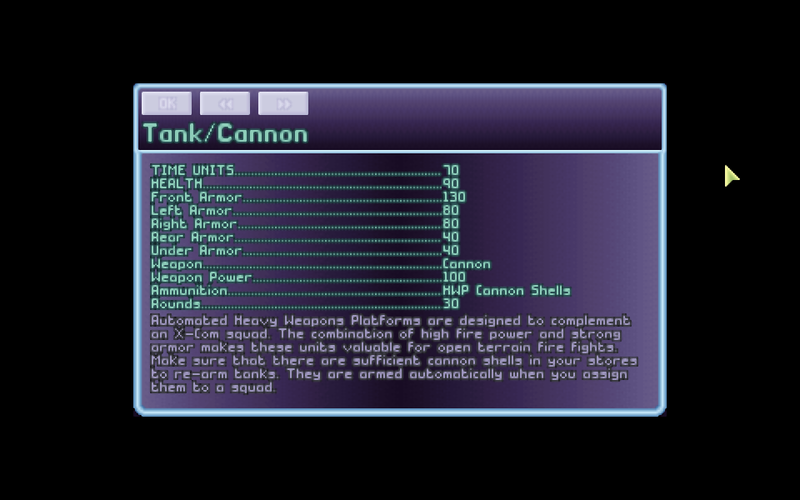 If you choose to use the TFTD damage model, it can be extremely difficult to destroy Cyberdiscs with standard weapons, and the aliens will also have problems when facing Tanks and Hovertanks. And let's not talk about Sectopods.